Our Silver direct Replacement Remote Controls are electronically identical to the Tevion MD30024 original remote control. It will provide all the same functionality. 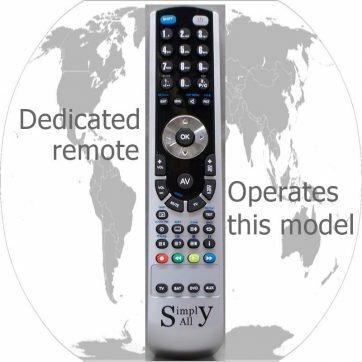 You only need to order the remote control using the same model number as the equipment you wish to operate. Our guarantee is that the remote will work straight away. It is not a universal remote and it does not require any form of setting up first. Replaces the original remote control. Simply insert the batteries and start using. No setup code required. 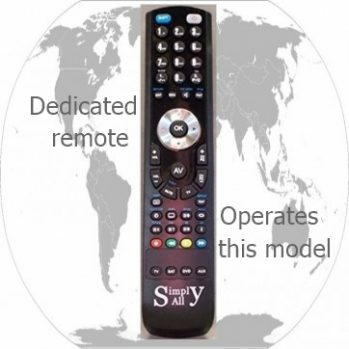 It is not a Universal remote. It is a dedicated replacement for this model.